Can A Weight Loss Supplement Help Achieve Your Goals? It seems like there are new weight loss supplements hitting the market every day. Open a magazine, turn on your television, or visit your favorite sites online, and you’ll see products promising amazing results. Dramatic before and after pictures, impressive testimonials, and seemingly impossible claims about rapid weight loss are all used to sell the hundreds of weight loss supplements available. But are these products too good to be true? In some cases, the answer is yes. There is no doubt that some unscrupulous manufacturers make claims that are highly exaggerated or even unfounded. 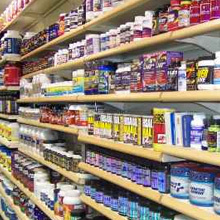 The good news is that there are supplements out there that can assist you in your struggle to shed those extra pounds. If you feel like you could use a little help in your weight loss efforts, it’s important to be able to separate facts from hype in order to find a supplement that is safe and effective. During our comprehensive evaluation of available diet supplements, we looked at hundreds of products to find out which ones showed the best potential to help users burn fat and lose weight. Whether they were well-known diet supplements or brands that most people have never even heard of, the best weight loss products had a few things in common. What You Should Look for in a Weight Loss Supplement? 1. High-quality ingredients: The best supplements are made from the highest quality, most effective ingredients available. A manufacturer should be willing to tell you what’s in their product and supply information about research or trials that support claims about the product’s effectiveness. 2. An appetite suppressant: Although it’s something overweight people don’t like to hear, it’s a fact that excess weight can usually be attributed to excess calorie consumption. To lose weight, you need to eat less. Appetite suppressants found in quality supplements will make you feel less hungry so you won’t consume calories, fat, and carbs that your body doesn’t need. 3. A metabolic enhancer: In addition to curbing your appetite, the best diet supplements increase lipolysis (the breakdown of fat) to help you shed excess fat and lose weight. Remember, just because a product is popular doesn’t necessarily means it’s effective. Knowing the facts and doing a little research can go a long way in terms of helping you find a weight loss supplement that will actually deliver what it promises. Superior ingredients that will burn fat and lessen food cravings are what you should look for if you want a supplement that will help you in your quest for a leaner, more attractive figure and better overall health.